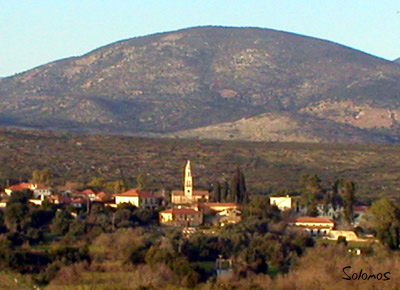 Keramies, the capital of Livathus Municipality is an all-green village in the south-west of Kefalonia Island. Saint Geogre castle and Mazarakata ancient tubes are two remarkable sights near it. In a short distance also you can find sandy chrystal-water beaches. In the village you can admire the Town Hall, a beautiful restored buiding lying in a quiet wide street. On both sides of the street there are extremely tall perennial trees. The primary school, the high school and the lyceum are beautifully arranged next to the square. You can also find a first-aid surgery here. The village maintains all its old beauty. The two old magnificent churches: Saint Vassilios and Saint Nicolas, its fascinating houses the asphalt clean streets , the charming square with the lovely little fountains surrounded by rare plants and flowers and generally the beauty and tranquility of the whole village will astonish even the most demanding visitors. The residents of Keramies are quiet, polite, kindhearted and very helping.